Morning: Once you wake up at the Courtyard by Marriott - Downtown Tacoma, head to the lobby and take a peak at the pumpkin design contest and vote for your favorite. After you vote, make sure to load up on their breakfast for the day ahead of you. 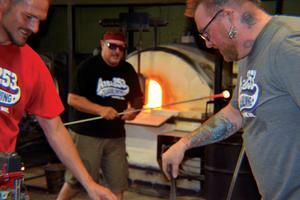 Make your way over to Area 253 Glassblowing for hands-on glassblowing. This studio has four stations allowing four individuals to work at a time. While you are waiting for your turn, take advantage of the many games available in this former warehouse, which is now a glassblowing studio. Afternoon: Begin making your way to Museum of Glass but stop for lunch first at the Old Spaghetti Factory. This family-friendly restaurant boasts a fun atmosphere where you can dine in former streetcars as well as additional private dining options. It’s time to explore the Museum of Glass. Make sure you have your walking shoes on as you can walk from lunch over the Bridge of Glass to the museum. Built in honor of world-renowned glass artist and Tacoma native, Dale Chihuly, the Museum of Glass has the largest hot shop in the world! After you’ve become a pro at Area 253, sit in the amphitheater and watch the visiting glass artists work on their masterpieces and then stroll through the galleries. Want to purchase Halloween-inspired glass art? Tacoma Glassblowing Studio blows glass pumpkins every year for Halloween. 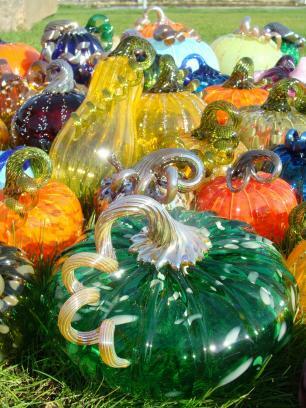 Purchase a glass pumpkin or two or whatever else catches your eye. Make sure to indulge your sweet tooth by visiting Savor Creperie in downtown Tacoma to experience their seasonal pumpkin crepe. Evening: For dinner head to Katie Downs Tavern + Eatery located on Tacoma’s Ruston Way waterfront. Next relax in the hot tub of the Courtyard Marriott and then head to bed.